How to use more than one connector with Zapier? 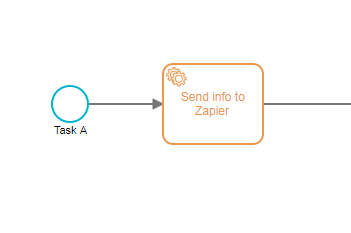 In Flokzu you have the option to use more than one connector with Zapier. 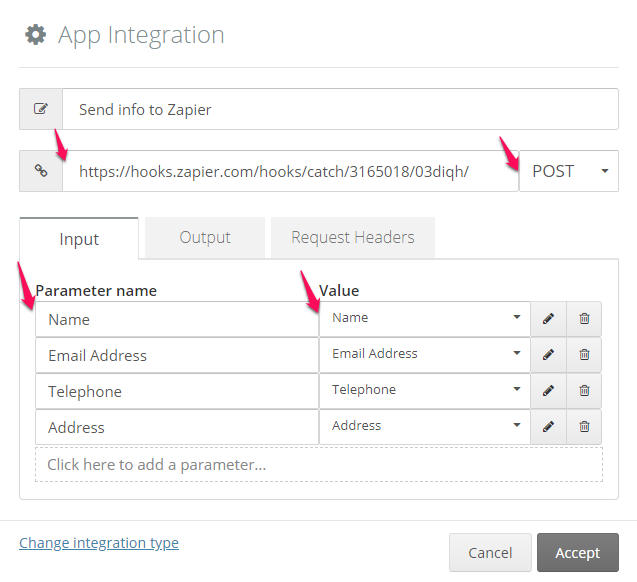 To do this, you must integrate Flokzu with Zapier through webhooks. 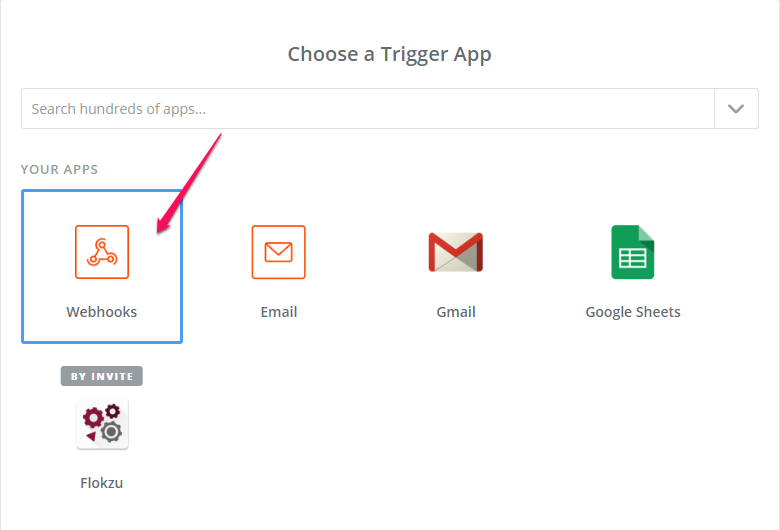 Create the field forms whose information you want to use to set up multiple “zaps” (connectors) on Zapier. Add a Service Task to set up a REST Web Service with a POST, PUT or GET method. 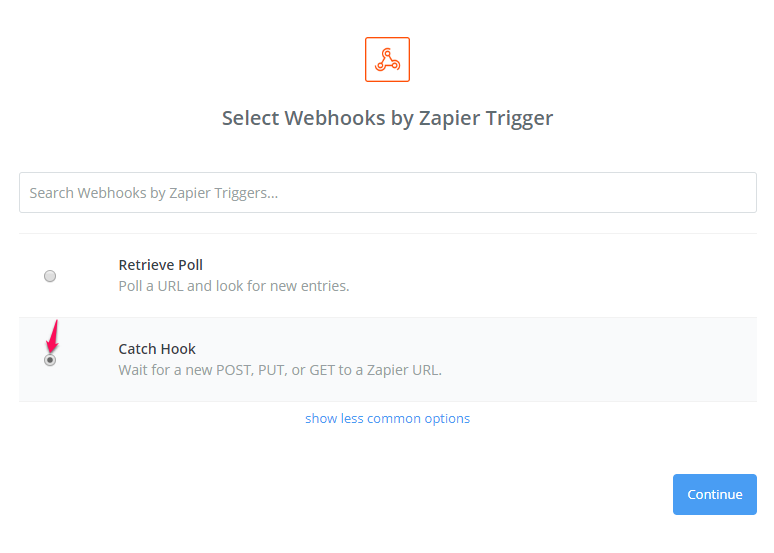 In the settings of your first zap, choose Webhooks &apos;trigger app&apos;. 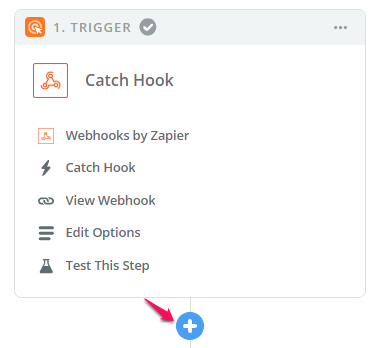 Select the “Catch Hook” option to wait for a REST Web Service with a POST, PUT or GET method in Zapier. 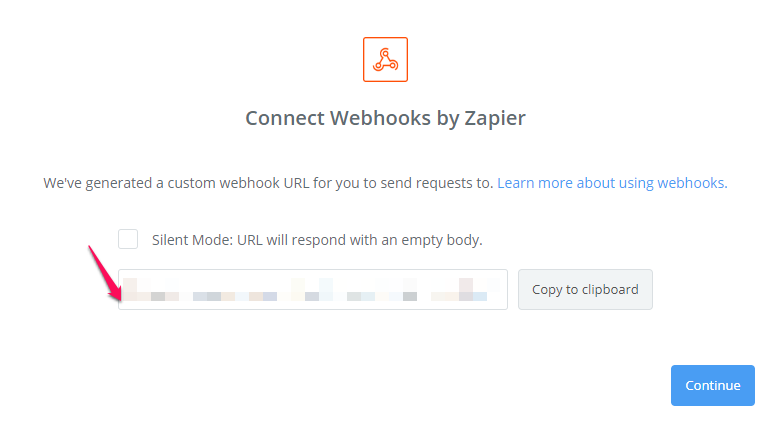 Zapier will assign you a URL that you must enter in the Service Task you have created. This will allow you to connect Flokzu through webhooks. Finish the settings of the Service Task, entering the URL, method, Parameter Names and Values. The run the tests in Zapier and you are ready to use more than one zap in Flokzu. Press the &apos;+&apos; sign in Zapier and add the app that you want to connect to your Flokzu service call. 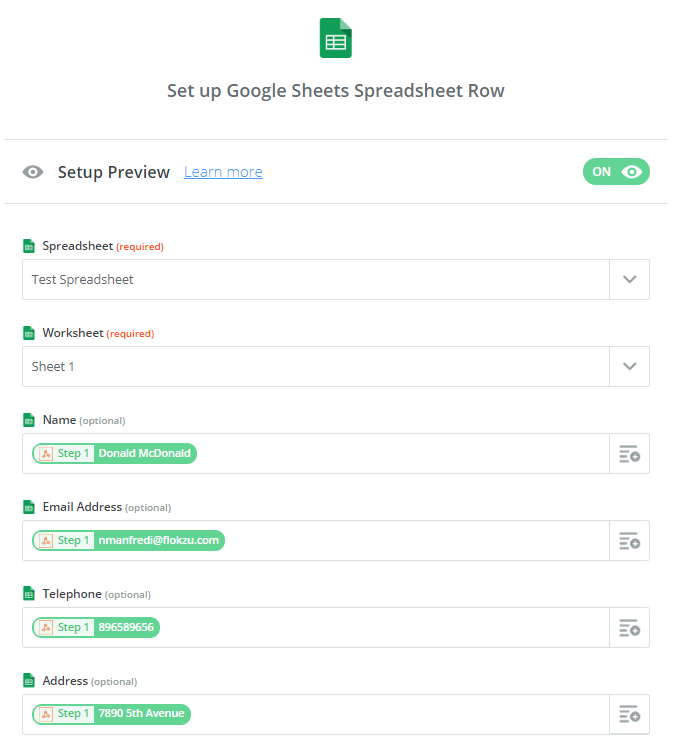 In this example, we will use a POST method to save information from a form automatically to a Google spreadsheet. Parameter Name: you must enter the names that you want to give to your fields in their connection to Zapier. Value: you must enter the form fields from which the information will be obtained. 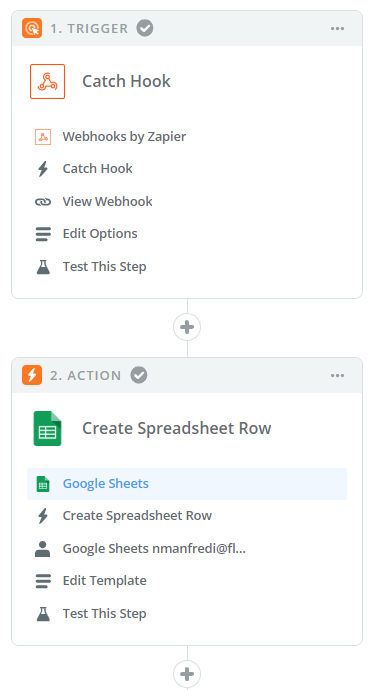 After setting Webhooks as the trigger app, add Google Sheets as the &apos;action app&apos;. Once Zapier receives the information you have sent through a Web Service REST call with POST method, the information will be saved automatically to a Google spreadsheet. Finish the settings by choosing a Google Sheet to which to send the information and the form fields that you want to save to it automatically. Keep in mind that the column names in your Google Sheet must be identical to the parameter names of the fields that you want to send.